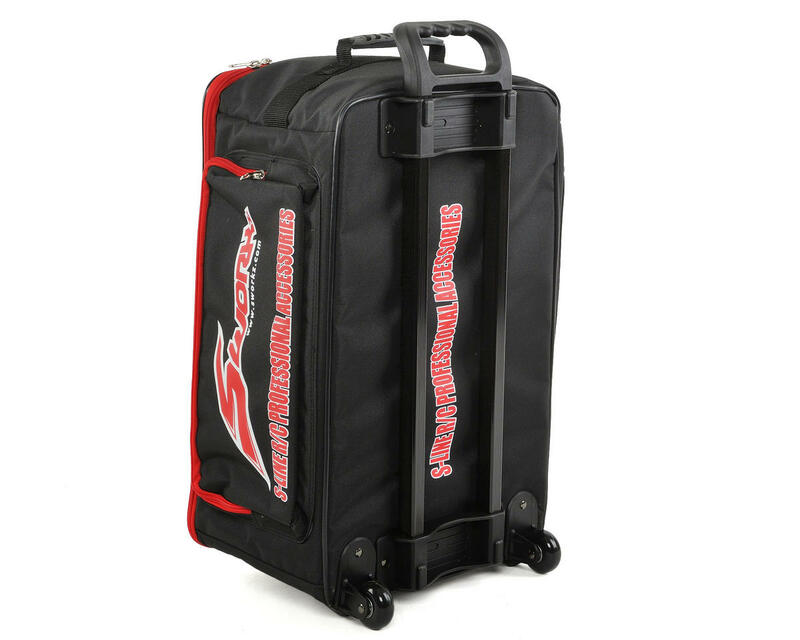 The SWorkz Sport Cabin Wheeled Trolley is roughly 23 inches high, 16 inches wide and 10 inches deep (empty). 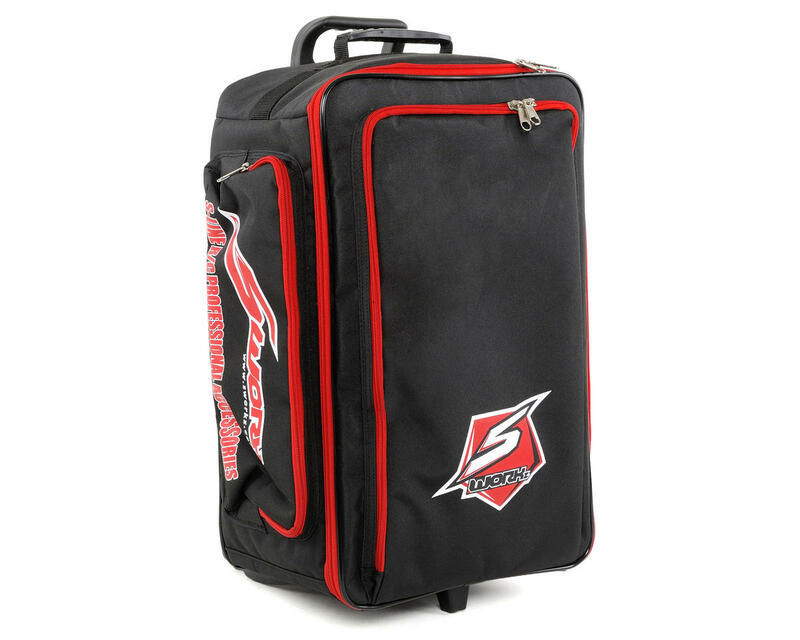 It features one main zippered compartment with enough room for your 1/10 and 1/8 accessories, as well as three other zippered pockets along the outside of the bag; one on the front and two on each side. Conveniently, the bag rolls on two ball-bearing supported wheels with a expandable handle to easily roll the bag. One large handle is also sewn into the top of the bag if you need to carry it. This bag is well worth it. I've had it for 2 years now and right now I'm using it for my 12th scale racing support bag. The side pouches hold by small items while the front holds decals and other books. The man compartment can hold a hudy tire truer with it's case a ride parts box that holds a flashpoint oil bag a few tire tubes and a scale and a second flashpoint bag the holds a X6 charger and power supply. Great price and it's sturdy.